The first ever Signature Music Festival in Peterborough saw young musicians from across the city competing in four days of classes - topped off with a nine-act showcase. The event, hosted at the Salvation Army Citadel, started with an afternoon of Rock School classes, comprising performances on drum kit, electric guitar and keyboard. The adjudicator, Wisbech based performer, lecturer and musical examiner Tommy Loose, praised the high standard of all the entries. Top places were awarded to Jacob Kutschera (drums) and Anushka Ramakrishna (electric guitar). Day Two was devoted to brass, woodwind and recorder playing. There was a range of entries across all instruments in the category. After a series of exceptional performances in the 18 and Under category, the adjudicator Malcolm Green awarded first place to flautist Lara Foulkes for a haunting rendition of Hypnosis by Ian Clarke. The competition continued with the piano classes on Day Three , and strings classes on Day Fout, with around 120 entrants taking part in the Citadel’s Main Hall. Top prize in the Piano classes was awarded to Christian Anderson, who played Chopin’s Nocturne in E flat major to the delight of the audience. In the Strings classes, young violinist Sarah Perry was awarded an Outstanding grade, and overall prize for a beautiful sensitive performance of Symphonie Espagnol by Lalo. Festival organizer Shirley Hallam commented: “We have been delighted with the Citadel as a venue for the Festival. The team have been very welcoming, and the Main Hall is a great performance space. The acoustics are really good – sitting at the back I could hear every note of the classical guitar pieces.” The Festival concluded when an appreciative audience were entertained by some of the city’s up and coming young talent. The Youth Music Showcase saw nine acts compete to win a studio recording experience with professional photography, courtesy of Breve Music. The judges, industry professionals Brooke Peverell and Tommy Loose, were amazed at the incredibly high standard of the young singer/songwriters, bands and instrumentalists. After a tense time of deliberation, they crowned Eva Rose the winner, praising her ‘mature voice with soul’. Organiser Moira Lester said “The standard was absolutely incredible! 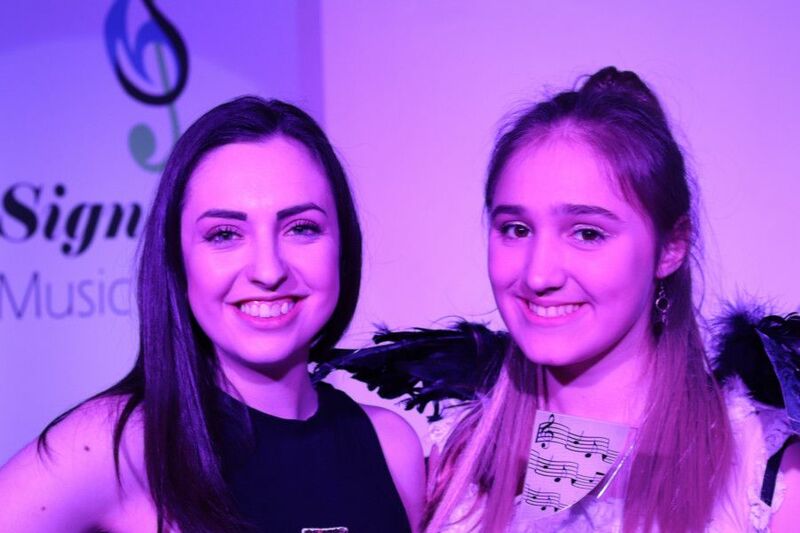 It was a superb evening of entertainment, and we’re very grateful to Breve Music for hosting the event and providing the prize.” The performers were Annie Wakefield, Megan Salonna, Anushka, Natasha and Erin, Thomas Dunleavy, Alanie and Ausrine, ‘Characteristics’, Eva Rose, James Dawson and Natasha Richardson. The Signature Music Festival will be taking place again in March 2020. For further details see the Festival website: signaturemusicfest.org.